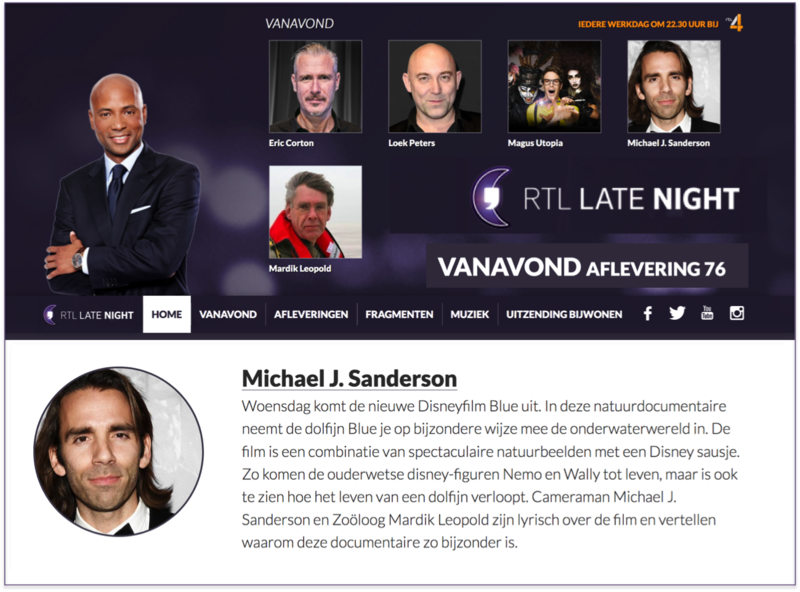 Tonight Michael Sanderson will be a guest on the dutch TV talk show RTL Late Night at 22h30, on RTL4 hosted by Humberto Tan, to talk about the new Disneynature movie called #BLUE (aka #DOLPHINS)! Michael shared the table with host Humbert Tan and the other guests including Eric Corton, Loek Peters, Magus Utopia and Mardik Leopold. #BLUE is a beautiful nature film that will be released in cinemas on 02 May 2018! Dont miss it!